Every artist should know the importance of lighting in their art, more so if you are a lighting artist who manipulates light to create spectacular pieces of work. For many of us working in the creative industry, we interact and manipulate lighting on a daily basis. Artist, cinematographers, photographers, interior designers, architects and etc. all work with light throughout the course of their work. While Thomas Edison invented the electrical light bulb, it was someone else who allowed us to truly manipulate light in our daily lives. Let us take you on a ride back in time and introduce to you the person which enabled all of us to become ‘light benders’. Joel Spira was a young physicist who was obsessed with manipulating light. In a makeshift lab in his apartment’s spare room, he toyed with light bulbs and laboured to realise his vision: a light bulb that could be dimmed. Little did he know, he would create the illumination empire today that is Lutron. Fascination, awe and perhaps an unhealthy obsession were the key ingredients for revolutionary breakthroughs in this man’s life — just like that of any inventor or artist throughout history. Spira was simply fascinated by the concept of light and how he could manipulate it. When he came up with his device, the idea of being able to increase or decrease the intensity of light in one’s home was a far-fetched idea. Controlling light wasn’t just expensive, but an extremely complicated process and was limited to theatre stage lights. This was because the ordinary theatre light dimmers used a rheostat, which converted electricity into heat energy rather than light to change the intensity. This gave the illusion the light was getting brighter, or dimmed down with each change of scene. Now, even if you had the resources that you need to find yourself a rheostat back in the day to add to the vibe of a good party,, doing so was simply not feasible. It was not only expensive, but the installation process was quite complicated and hard to get right. But, it all changed in 1959, when Spira revolutionized the solid-state dimmer. Spira was always driven by progress. Already fascinated by the concept of manipulating light, he set on his mission to introduce a light dimmer that was small and simple. His invention was progressive. It was small and simple enough that it could be installed in a standard residential wallbox, essentially replacing the light switch. Another great thing about using this transistor was that it generated less amount of heat and keeping cooling issues in warm areas at bay. Spira achieved this by replacing the traditional rheostat, used to dim stage lights in theatre productions and replacing it with a thyristor. Now, quite unlike the rheostat, a thyristor is a type of transistor, which was a relatively new invention when Spira was tinkering away in his makeshift lab in his New York City home. The substitution was relatively really small in nature, but its effect, remarkable. A thyristor, unlike a rheostat, simply stops power flow into the lamp, which in-turn reduces the production of light energy. Dimmers are also extremely practical to use in a domestic setting. You can not only save ample amount of energy, but you can also lower your energy consumption. Since energy costs were sky-rocketing even back in the day, Spira’s invention was nothing short of a miracle in the age of revolution. Not only the energy saving aspect of dimmers based on thyristors make for an appealing future, but when Joel Spira came up with the idea, he didn’t have a clue that his invention could turn out to be an integral part of society. From museums, to art galleries, from restaurants to clubs, light dimmers do plenty to enhance up the vibe of the place. Times have changed and Spira invention has turned from something rather we take for granted. The simple rotary switch Spira came up with early in the day still graces the walls of domestic dining rooms across various parts of America. But, regardless of change and improvement that came with time, the original rotary switch laid the stepping stone for the present lighting control industry and the world hasn’t been the same every since. 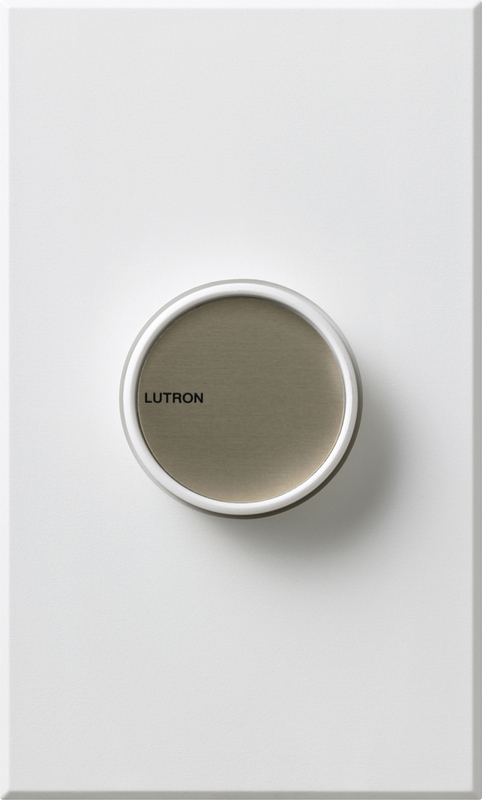 Eventually, Spira decided to take things to the next level and start a company, Lutron Electronics. With more than 700 worldwide patents to his name, Spira was responsible for the invention of the first electronic dimming ballast used in fluorescent lights. Furthermore, he also invented the a self-contained lighting control system that is being widely used and applied. 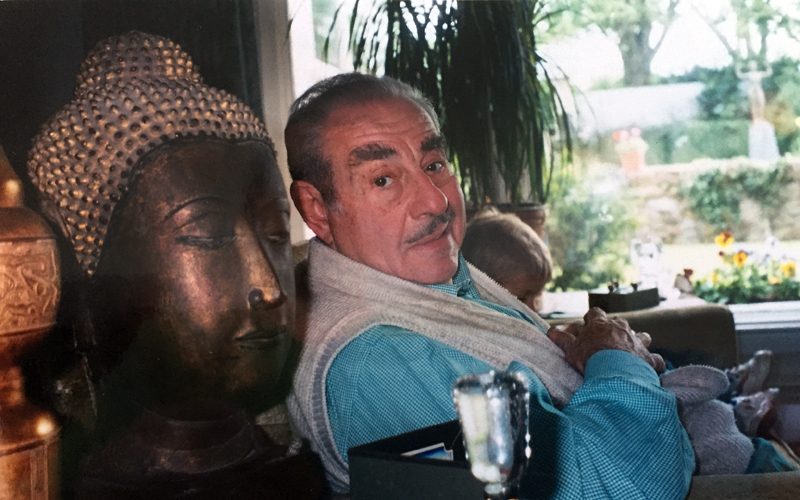 Spira, through Lutron was not only able to sell, get investors and make profit off of his solid-state dimmers but also linked dimmers and under inventions that came under the umbrella of his company, including the motorized window shades. The emergence of light dimming technologies gave birth to another supplementary demand — the need to measure light. This new demand gave birth to Lutron Electronic Enterprise Co., Ltd, a Taiwan-based manufacturer in Test & Measurement instruments. This newer company has zero affiliation with the one started by Joel Spira and I guess it was perhaps named as such in reverence to the contributions made by the late Joel Spira. They are very well-known in the industrial market for their affordably priced and decent quality lutron light meters. The illumination industry is huge: from big fancy hotels to retail outlets, light control systems can be found almost everywhere from majestic palaces to museums and art galleries. The difference between an exceptional lighting artist and a mediocre one lies in their attention to detail. Lighting design or rather illumination design is important across many creative industries like media, arts, architecture, interior design and etc. Light installation art, especially moving light installations, require mastery of lighting to the highest degree. And it is no wonder why many established light installation artists and photographers I know use a light meter. How do you manipulate light if you can’t measure it? If you are ever in the market to buy lutron light meters or other measuring instruments, you can purchase them for yourself or your company on eezee.sg. They have a huge array of reasonably priced industrial products, they also offer volume-pricing plus you can generate quotations instantly for your convenience. Many students looking to get into the most reputable art schools in the world experience difficulty in doing so because they don’t know how to make themselves stand out from the large pool of applicants. We have some good news for you if you fall under this category as we are going to share with you tips on how to successfully apply to art school. Many students applying to art school do so before they themselves are sure that it’s what they want. Unfortunately when applying for school before you are absolutely prepared for it will result in you not putting in the necessary energy, time, and resources therefore you’ll fail to give it your all. However, if you are ready for the process, you will approach the application with more passion and conviction. Most reputable art schools will require you to write an essay or two about why you want to join the school and what inspires you to do the art form you do. This is usually part of their normal screening process as they seek to gauge whether you have the right personality for the school and whether you have the right motivations for engaging in art in their school. It’s therefore important for you to be able to clearly articulate why you want to join the school because if you can’t or if you give false reasons, you may end up getting rejected. Many students with the right set of qualifications to join art school fail to apply because they are discouraged by their financial position. It’s however important for you to know that different schools will always offer financial aid opportunities to students. Therefore as you apply for the art course, be sure to take advantage of scholarship and financial aid opportunities. Most notable art schools will always want the best students in their institutions therefore it’s a good idea for you to have a portfolio of your best art pieces as this will help make you stand out from the crowd. Ensure that your portfolio is as professional as possible. Once you have all these things figured out, the next step will be for you to make and submit your application. If you follow these tips to a tee you can be guaranteed of a successful application to your desired art school. Many up and coming artists will always face the challenge of identifying a market for their art because while they are still unknown, not many art galleries will want to take a chance on them. It therefore becomes a challenge for an artist to figure out how they will sell their art. If you are an artiste facing such a challenge then you have come to the right place. Our solution for you is ecommerce. In this article we are going to look at 7 easy ways to sell your art online. The ArtFire platform is an online global marketplace that brings together artists and buyers of art. Through this interactive platform, artists can sell their art as well as access various information and insights related to art, and the same benefits are extended to buyers of art who in turn have a platform that not only gives them information and insights on art but also an opportunity to purchase. The Artist Arising platform is a subsidiary of Art.com, and is an online community that brings together independent as well as emerging artists from all around the globe. The platform offers opportunities for artists to interact as well as sell their art pieces. Amazon is undoubtedly the world’s largest retailer as it’s an online platform through which anyone in any part of the world can sell anything. This therefore means that if you are an artist looking to sell or create some visibility for your art pieces, this could be a really good platform for you. Artplode is an online platform that allows artists, collectors, dealers as well as galleries from any part of the world to list their art. The platform has various pricing models for listing though the most exciting bit about using the platform is that neither the buyer nor seller will be charged a commission on the transaction. Artsy is an online gallery that brings together buyers and sellers from all over the world. Artists can display their work on the online gallery and buyers have the option of filtering out art pieces based on the money they are willing to spend and if they like what they see, they will make an offer for the art piece. Craigslist is an online platform that brings together buyers and sellers, and sellers are free to put anything up for sale. Artists can take advantage of such a platform to sell their art pieces. eBay is one of the largest online auction sites that allows people from any part of the world to put up things for auction. This can be a great platform for artists to put up their art and sell them through an auction process. If you are an upcoming artist or even an established artist looking for a place to sell your work, be sure to try out these ecommerce platforms. We have briefly covered the subject photography in one of our previous posts and as a recap we established thatphotography can be considered as among the newest forms of art which emerged with the emergence of camera technology and has continued to morph with the advancement in camera, print and computer technology, as they mostly go hand in hand. This art form is considered to be easier to get into than others because it doesn’t require talent in the traditional sense as compared to the other forms of art and this is the reason for its rapid growth in popularity. In this article we’ll look at 5 types of photography print in art. The cibachrome print is basically a type of color print which is produced from a negative. This type of print will often be rich in color and it’s believed to have more longevity because the dyes used to print on the surface are usually amalgamated into the emulsion before it’s transferred onto the print surface. Digital prints have become very popular today because they have made printing much faster, easier and much improved in quality. The process is done digitally through a computer and a printer, where the image is transferred from the camera onto the computer and a few adjustments can be made on the image using computer software before the final print is made. Digital printing can be done on various surfaces from cloth, to paper to glassware and so on. Estate print is a type of printing that is often done posthumously and it will mainly be done from original negatives from a photographer’s collection hence it has to be commissioned by his/her estate. It’s however worth noting that prints that are produced under such circumstances generally don’t hold much value in comparison to original work from an artist. Photo etching is a type of printing that falls under the category of intaglio printing technique whereby an image will be placed on a metal plate which will then be coated using material that is light sensitive as well as resistant to acid. Once this is done, the plate will be exposed to light and this will result in the reproduction of a photographic image. A photogram print will be created by taking an object and placing it on a photosensitive paper and briefly exposing it to light. This will result in the object leaving its imprint on the paper. As an artist looking to experiment with different print methods, this could be a really good place to start as you get to learn a lot about printing technologies as you work on identifying a niche that best suits your style.